Rubbings are among the oldest ancient literatures and potentially contain a lot of knowledge waiting to be unlocked. 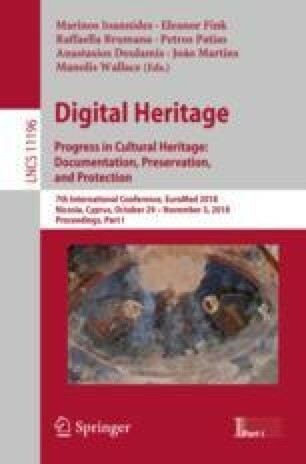 Constructing a rubbing database has therefore become an important research topic in terms of discovering and clarifying the potential knowledge. However, current rubbing databases are very simply, and there is no process in place for discovering the potential knowledge discovery. Moreover, the rubbing characters need to be recognized manually because there are so many different character styles and because the rubbings are in various stages of damage due to the aging process, and this takes an enormous amount of time and effort. In this work, our aim is to construct a spatiotemporal rubbing database based on multi-style Chinese character recognition using deep learning, that visualizes the spatiotemporal information in the form of a keyword of rubbing images on a map. The idea is that the potential knowledge unlocked by the keyword will help with research on historical information organization, climatic variation, disaster prediction and response, and more. Supported by Japan Society for the Promotion of Science(JSPS) (18K18337).